Okay people, I need your help. 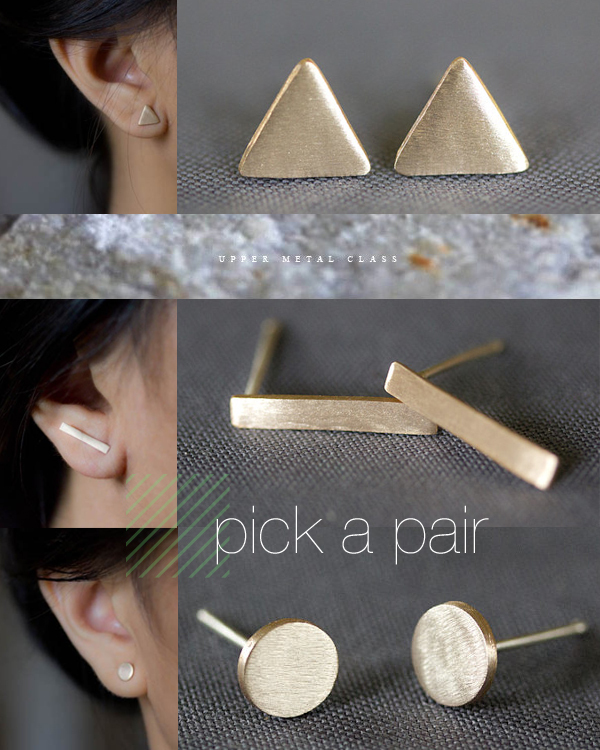 I'm totally needing a pair of these bronze, geometric earrings from Upper Metal Class. After searching for a pair of simple studs in recent months and coming up empty handed, I've narrowed it down to three pairs below. I love them all, but WHICH will be the lucky studs to decorate my ear lobes? That's where you come in...triangle, rectangle or circle? I love the triangle, but the rectangle is sooooo different! Love it!